Originally built in Germany in 1910, for most of her existence the Noorderlicht has served as a three-masted light-vessel in the Baltic Sea. 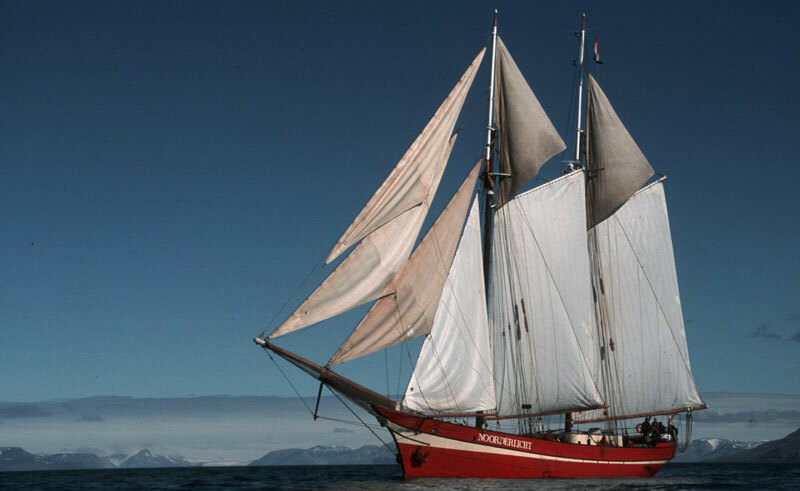 In 1991 she underwent a major refurbishment and emerged as a two-masted schooner rig, capable of navigating the cold waters around the Norwegian coast and Svalbard archipelago. 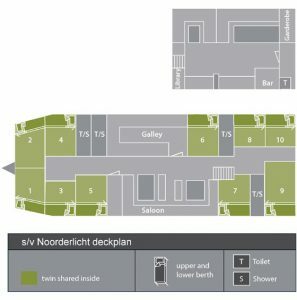 She now holds a maximum of 20 passengers in 10 cabins and boasts a cosy dining space and small bar/lounge area. Three meals are prepared each day and served in the mess room, giving travellers the chance to socialise and share stories. 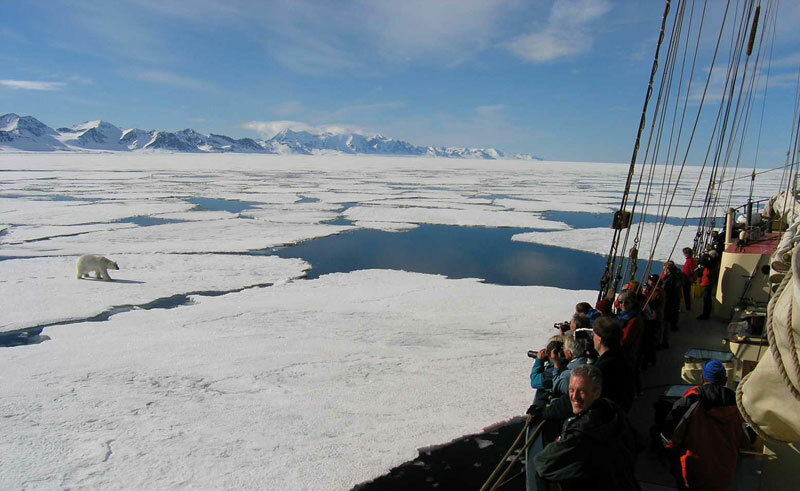 The atmosphere on board is informal, with dress code practical, warm and comfortable. 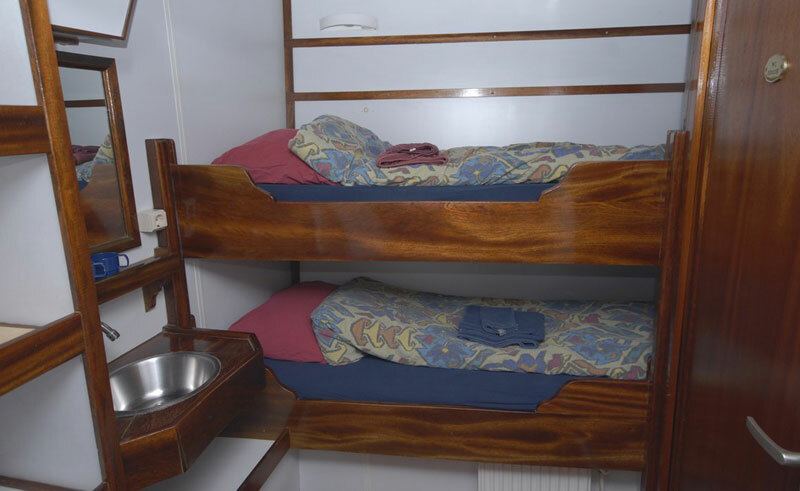 Twin Inside: one single upper berth and one single lower berth (bunk beds) with frosted glass skylight. All cabins have a wash basin, but share shower and toilet facilities. 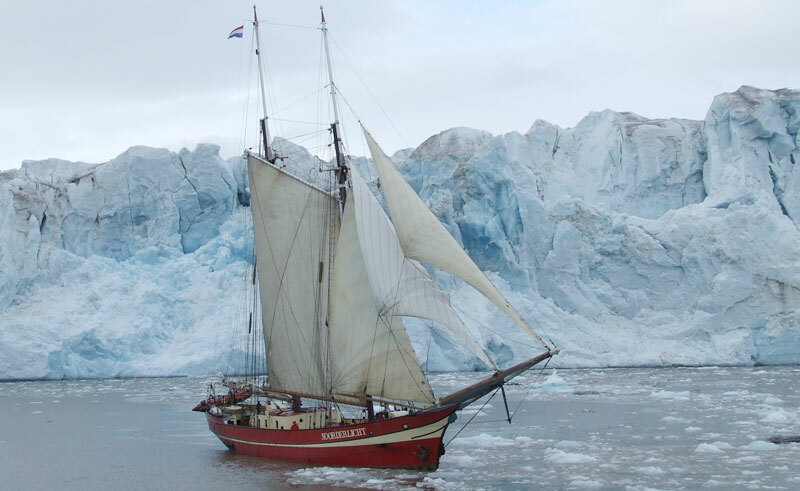 The Noorderlicht is the perfect vessel for an adventurous sailing trip around some of Norway and Svalbard’s jaw dropping scenery. 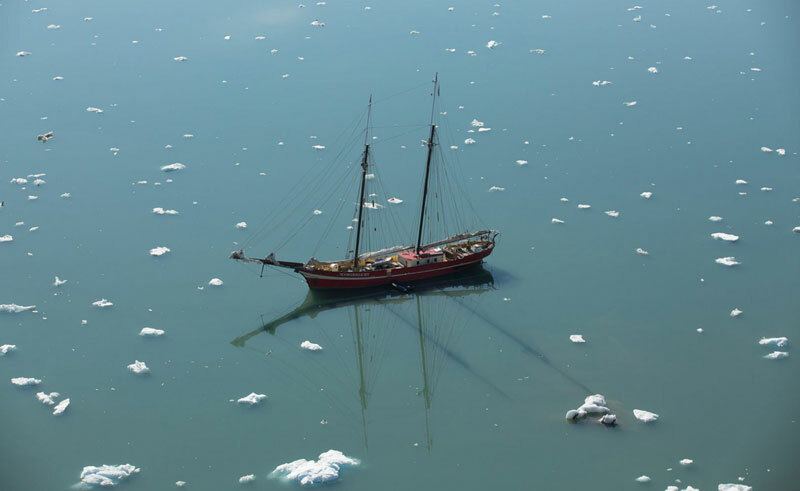 What she may lack in luxury, the Noorderlicht makes up for with cosiness, character and charm and is sure to make any expedition one that will not be forgotten.